PeacePads have only been on the market for a few months, and already skaters, coaches and parents are beginning to recognize them as a valuable athletic training aid. PeacePads recently received a five star review from Jo Ann Schneider Farris, of About.com Figure Skating. You can read more about her comments and feedback here. The first time you pick up a PeacePad™ you will notice that they are a little heavier than you might expect. The pads feel heavier than the typical open cell foam or other pad materials often used by skaters for a very good reason. Read more: A Difference You Can Feel! 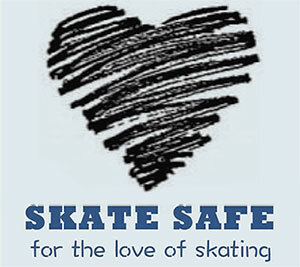 See us at the Riedell Skating booth, Sunday, January 20th - Sunday, January 27th in Omaha, Nebraska. When LiveKuhn™ was looking for partners to provide the materials for the new line of PeacePads™, the choice became very clear - we wanted to make it here in the U.S. By working with U.S. suppliers, we have been able to ensure we meet stringent quality and design criteria, and can incorporate the very best products, materials and designs. Although it is a commonly applied training method for athletes, the "tough it out" approach is changing in modern sports training and thinking. Being a tough and competitive athlete IS important, but having fear and being unsure of yourself during training and competition is not necessarily the best way.